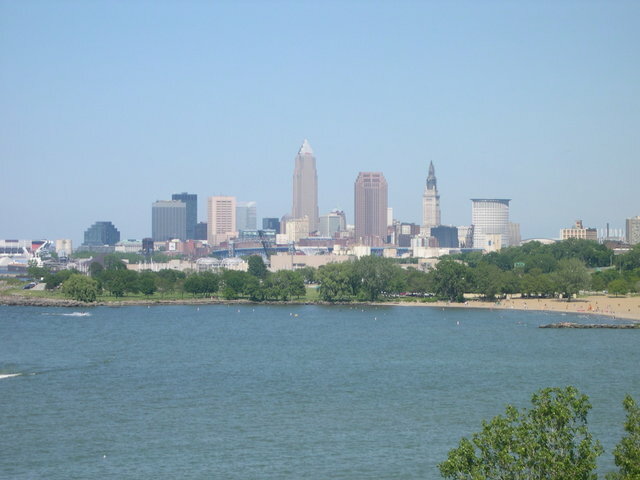 Yes, ladies and gentleman…I am officially a Cleveland resident again come September 1, 2011. The most stressful decision of the summer has come to a close and I’ve found an adorable new place to live, closer to work and where I’ve been spending more and more time. Despite my three year suburban stay, I’ve always been a city girl and I’m excited to be back to the city and closer to some friends, to Browns stadium and to the city that I love so so much. The stress of furniture shopping has totally set in but in the midst of it all I’m determining my own personal style for my place. I’m keeping some of the same things that I’ve had my place now (i.e. neutrals in my living room, bright colors in the bedroom and bathroom). I am changing a few things up though, such as adding to my kitchen (with grey, black and green – I have a slight obsession with the colors black and grey). This entry was posted in Uncategorized and tagged 20-Something, Cleveland, Craziness, Me, Shopaholic, The CLE, Transition. Bookmark the permalink. Thanks Alana! I’ll let you know when the housewarming party will be!